Today, we would like to give you an update about the test servers. Many players were disappointed that the first test server schedule was delayed last time. Right before opening the test servers, we concluded that the test build was not stable enough and decided to postpone the test. 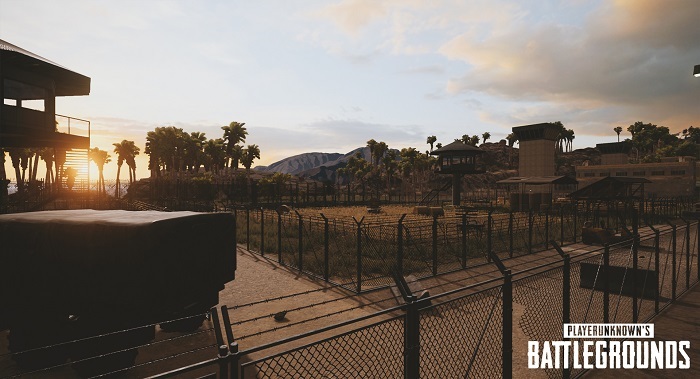 Although the current test build is not completely stable as of now, we still would like to open the test servers this week even for a short period of time and allow players to test the long-awaited feature - vaulting & climbing. We were planning to run test servers for about three days but this week’s test will be shorter because of the build’s current state. Please note that you may experience client crashes on the test servers. This is normal as the build we are using for this test is not completely stable. This may not be the best condition to test all the features. At this time we ask for your understanding as we continue to fix the issue. The test will begin tomorrow and last for about a day. If we decide to extend the test schedule, we will make an announcement on our official social media channels. Two major changes were made this time. We added vaulting & climbing and overhauled the ballistics system. To read more about vaulting & climbing, please read our previous blog post. Regarding ballistics, we made changes to bullet drag effect, accuracy and hit areas to give them a more realistic touch as well as improve the balance of weapons. We have described the changes in detail below. We will be using a more advanced equation to calculate damage which will be shared in detail after this test. We are constantly looking into improving the balance of the weapons while adding a little bit of more realistic, albeit reasonably balanced touch. As a consequence, we are now working on a ballistics balance pass. We have been announcing upcoming changes to the way the projectiles and weapons behave for some time and now the first iteration is finalized. The overhaul consists of multiple elements. The most essential one is the addition of a bullet drag effect that affects the trajectory curve of a projectile. Due to this effect the bullet now loses its velocity over time - similar to what happens to it in real life. As a result, with gravity still acting on the projectile, at the same distance as before the bullet drop will be bigger. For most assault rifles the change will be hardly noticeable at short range. It will become increasingly obvious above the range of 300 meters. Secondly, we’ve tweaked the MOA (accuracy) of the weapons basing the new numbers on their IRL counterparts. While some weapons may experience slight accuracy nerf, others will become more accurate than before. Following the changes to the trajectory of the bullet, we have looked into the usability of iron sights and sight attachments. To accommodate the new ballistics, we have changed the way zeroing works to be slightly more realistic. As a result, each weapon will have unique set of zeroing ranges while using the iron sights. Red dot and holographic sites will allow for zeroing in on short ranges. You will now also be able to adjust the intensity of the reticle (by default using the Mouse Wheel). 4x's tip of the chevron is zeroed in on respectively 50 and 100 m for submachine guns and other weapons. Bigger scopes will additionally allow you to change the zoom level (by default using the Mouse Wheel). * Zeroing for 4x is the same as before in the 1st test servers and will be updated in the next test build. Finally we have introduced changes to the hit areas of the characters. We felt that the initial system was a little bit too simplistic and punishing to the players. With the new system, the problematic neck area will be protected by the helmet. Shooting hands and feet is now also less effective than it was before. On top of regular bonuses and penalties to the hit areas, the damage will be also modified by weapon class. These changes allow us to further balance the use and functionality of different types of weapon classes. Please bear in mind that the changes are not final, many are, in fact, experimental, and we are still working on more features to be included in the game. * We are adjusting driving sounds to be more realistic. Sources of vehicle sounds will be improved. This is an early stage of balancing. We need your feedback to improve driving. When we prepared to release the first Early Access version of PUBG earlier this year, we were not fully prepared to respond to the issue of cheating. Since then, our traffic grew exponentially and it became an even bigger issue. Earlier this month, we noted that we have been adding new measures and detection methods to address the cheat issue more effectively. To provide a healthy environment to our players, addressing this issue is now our top priority. We are constantly improving our anti-cheat measures and adding new ones. With our recent efforts to strengthen the measures, the volume of players who use cheats has been reduced by 25% overall, and the volume of malicious, extreme cheaters has been reduced by 50%. However, we know that this is not enough, which is why we are approaching this in multiple ways - monitoring 24 hours a day, strengthening security systems and applying additional anti-cheat solutions. Regarding other measures that our players have suggested, we are looking into a few that may be quite effective. The battle against cheats may be endless. But we will do our best to create a healthier, better environment for everyone and take strong actions against distributors and sellers of cheats as well as those who use them. Lastly, we would like to again ask for your understanding regarding client crashes you may experience during this test. We’d like to also thank the players who have been patiently waiting for an update. Although we may not leave comments on every piece of feedback we see, we are always monitoring and reflecting on it. We appreciate it very much. In one of the subsequent dev blogs, we will be addressing the issues that are being discussed in the community, bugs that are not fixed in this test build and issues that were not mentioned in today’s dev blog. We are also preparing to share more about the damage equation later as we noted above. We are looking forward to getting your feedback on our first PC 1.0 test build.